Remember I was telling you about the Indian- and Jewish-inspired recipes that are featured in the paperback*? 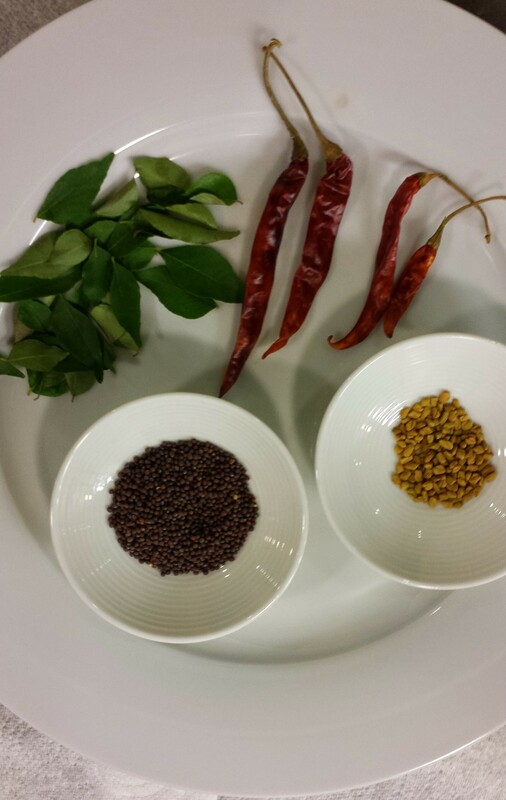 Well, feast your eyes on these pictures from our test kitchen. We must have been having some serious beginner’s luck because everything came out AMAZING the very first time. Take a look! *Get the complete recipes in the paperback edition of My Basmati Bat Mitzvah, available April 21, 2015. 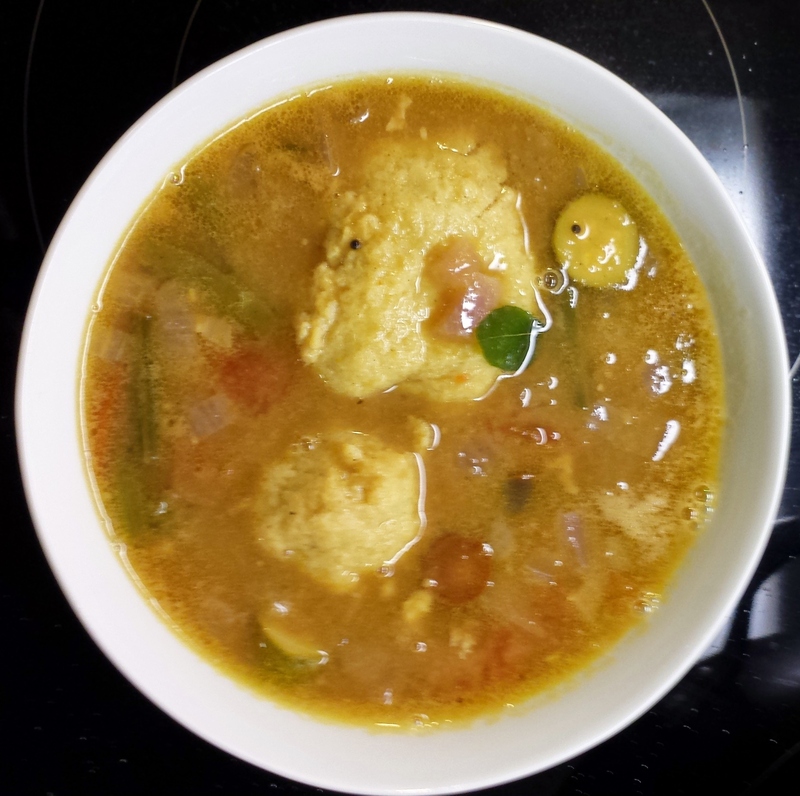 Turmeric matzoh balls and sambhar… they’re mm-mmm good. 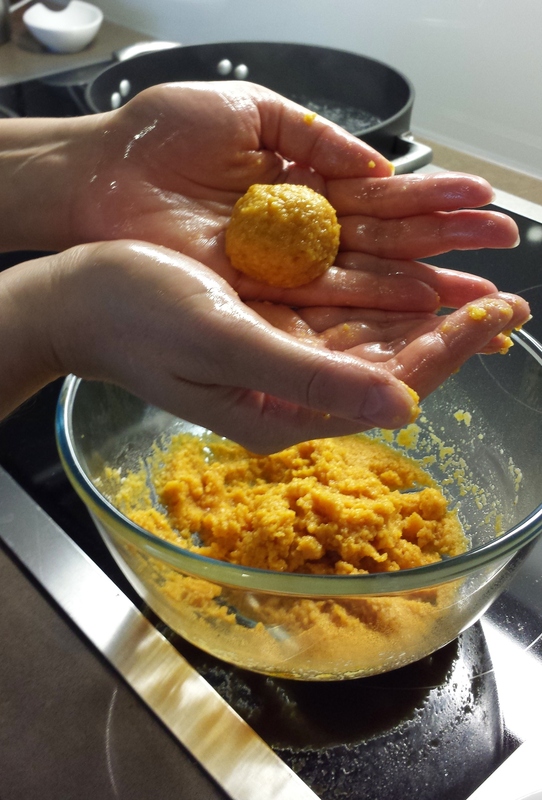 Warning: this recipe is NOT kosher l’pesach. Not bad for my first attempt. This one was somewhat round, even. Step up your soup game, and yes, those are red chilies. Oy! 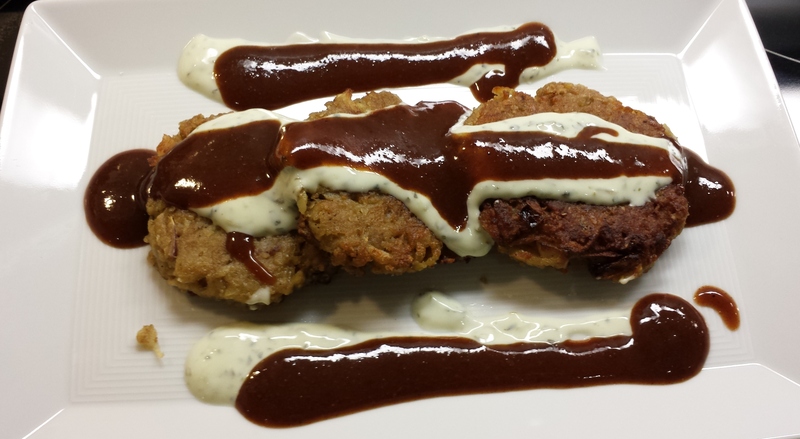 It’s a latke, it’s a tikki… it’s basically the same thing. Whichever way you shred it, it tastes great. 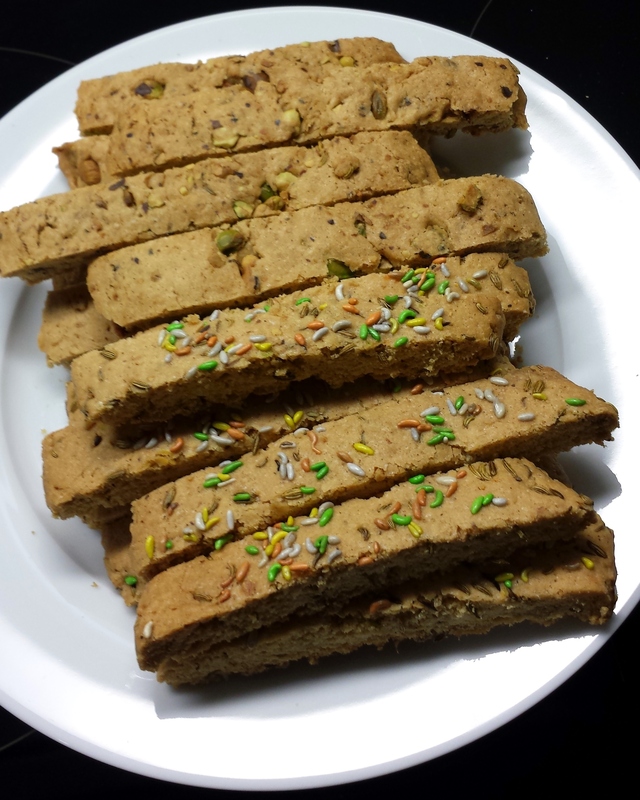 My mom’s mandel toast recipe, but with chopped pistachios (top) and candied fennel seeds (bottom). 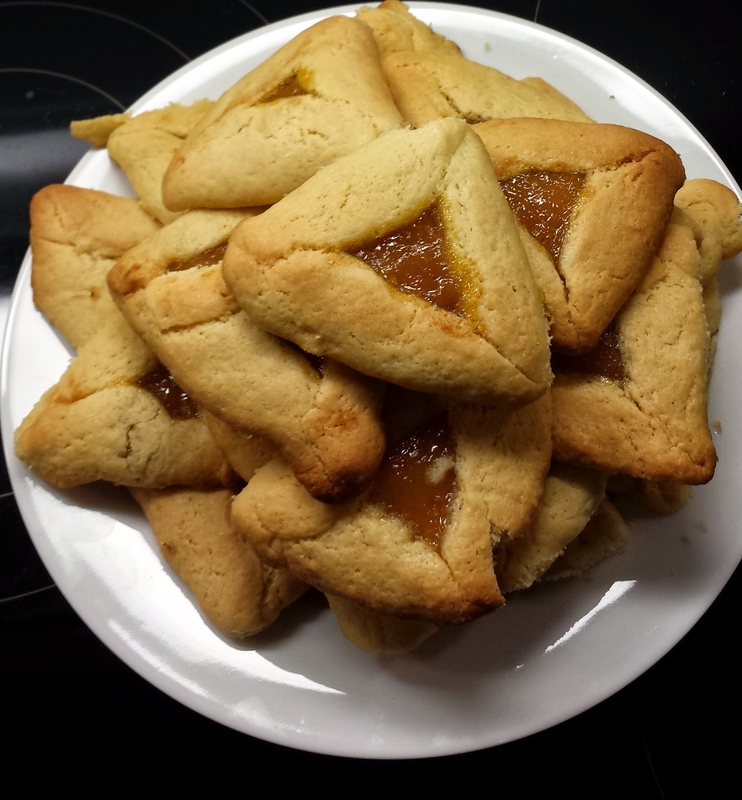 Mango-ginger hamantaschen. Because why in the world wouldn’t you? 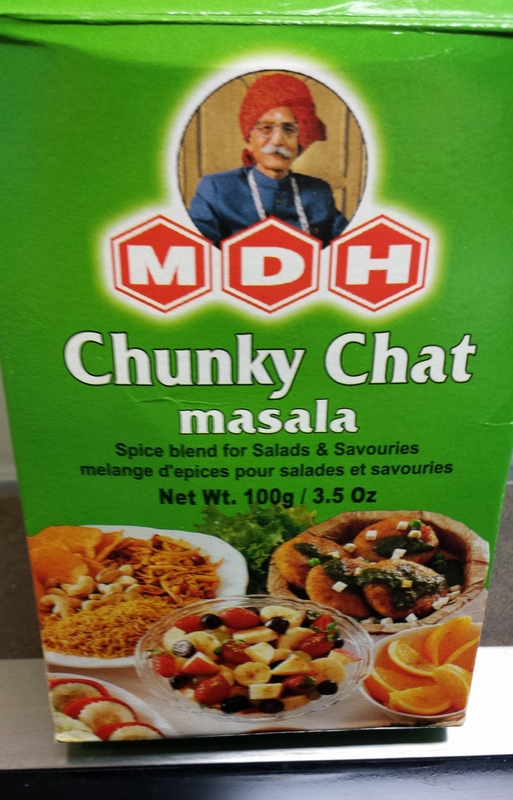 That which makes everything taste delicious (because MANGO POWDER). 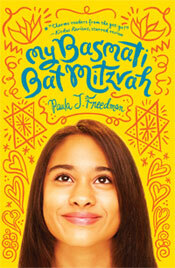 Get the complete recipes in the paperback edition of My Basmati Bat Mitzvah, available April 21, 2015. 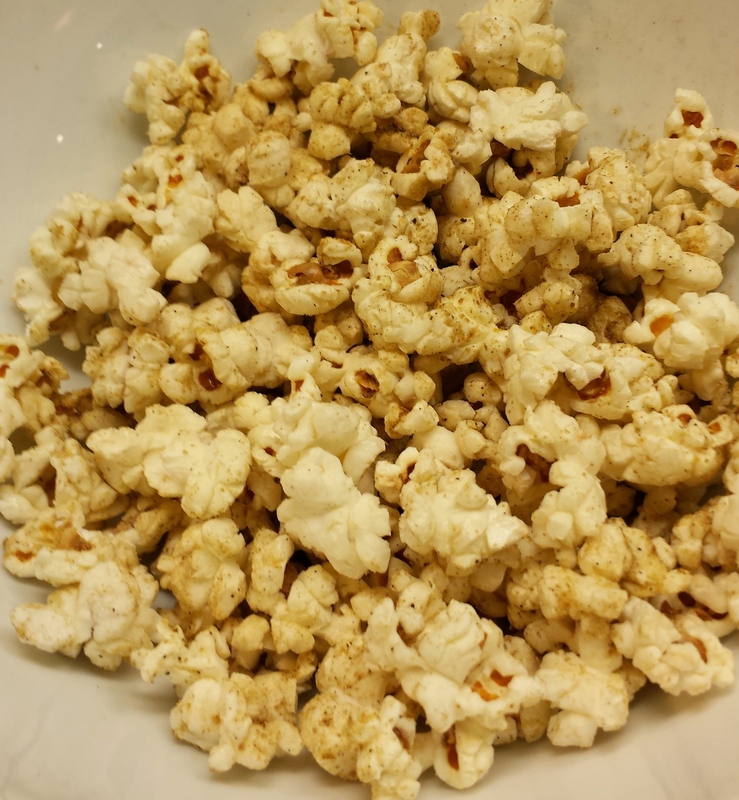 This entry was posted in Uncategorized and tagged food, indian, jewish, MBBM, My Basmati Bat Mitzvah, paperback, pictures, recipes, sneak peek. Bookmark the permalink.